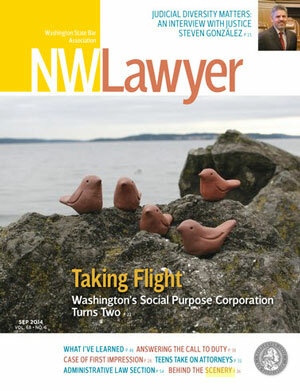 The September 2014 issue of NWLawyer is out! From the benefits of youth mock trial to a conversation on diversity with Justice Steven González, this issue is packed with great articles. Read the September 2014 issue online.